Valdinei José Tápia, better known as Nei (Nay), was born in Assis July 25, 1970, the third of five children, and is married to Angela. For 23 years Nei has been a motorcycle mechanic by trade and training. He and Angela hold certificates from the Open Arms Center for Leadership Training – Assis, São Paulo, Brazil, as well as the Independent Baptist Theological Seminary in Assis. Currently Nei is studying for his degree in Social Services. Early in his adult life, newly married and without a relationship with Jesus, Nei was struggling and searching for something to satisfy a thirst he had within himself. This led him into a downward spiral of drug abuse, anxiety, and depression that left he and Angela on the precipice of divorce. That is when they were invited to attend a three-month marriage course at a local Baptist church. Three months turned to seven and both Nei and Angela had a deep, personal encounter with Christ that changed their lives forever. They continue as members of the Philadelphia Baptist Church of Assis where their gifts of service are put to good use. 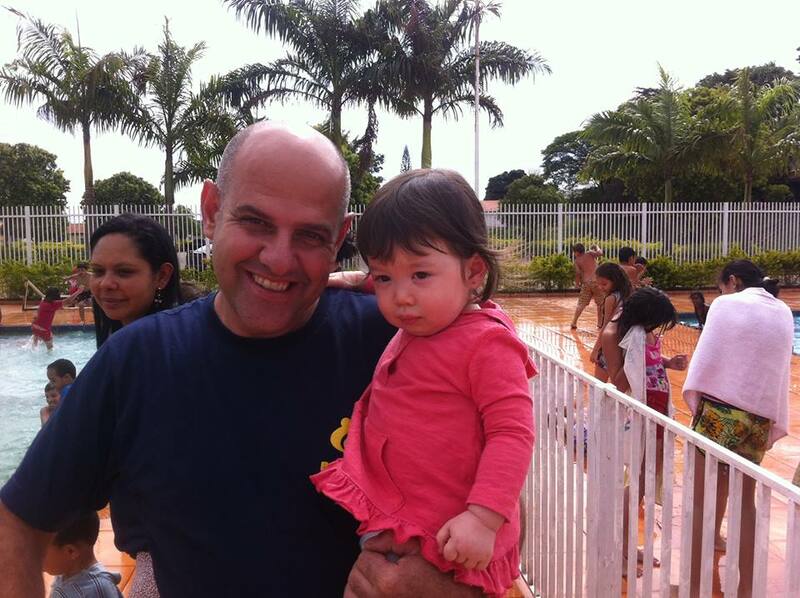 Nei and Angela have been married for 22 years and have two children (Felipe and Isabele). When the Philadelphia Baptist Church partnered with Open Arms to begin a work in a poor, drug and crime ravaged neighborhood in their city, Nei and Angela stepped out to volunteer in the new ministry of their church. It was there that they discovered their calling. Nei says, “It was there that God softened my heart with compassion for these children. I felt useful and could see that this was really where I was supposed to be. I have no doubt of my calling and I love the work the Lord has prepared for me to walk in. It’s what I was born to do.” Nei and Angela began serving full-time as Agents of Hope in 2012, taking on a tough challenge in one of the largest, underprivileged neighborhoods in their city. Nei’s handyman background and Angela’s gift of hospitality have given them unique opportunities to minister in the homes of the children who attend Open Arms. Nei and Angela’s current support need is for $1,000 per month. Click HERE to partner with them today.